The CD entitled “Mafalda Minnozzi – Live in Italia” is a passionate tribute to popular Italian song and its greatest composers in commemoration of the first 20 years of Mafalda`s artistic career. The tracks on the CD include a special selection of songs performed by the Italian singer in a special show recorded in San Severino Marche, Italy at the historic Teatro Feronia. 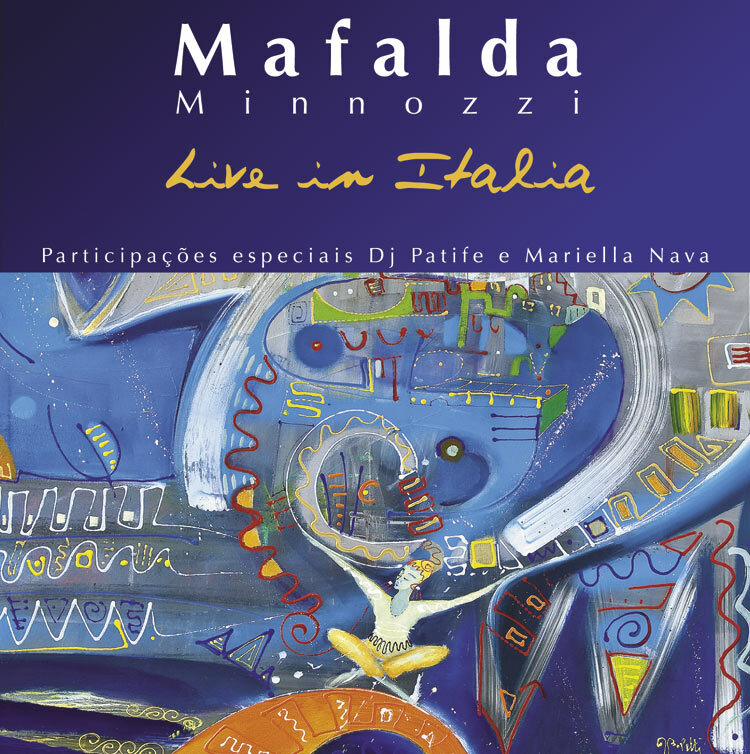 The show in question was documented in its entirety in DVD form bearing the same title “Mafalda Minnozzi – Live in Italia” and released in various different countries. The CD contains two tracks with special guest artists that were invited to participate in the show: Brazilian Drum and Bass innovator DJ Patife on the song “Parole, Parole” and Mariella Nava, singer and compositor of the song “Per Amore” which was recorded in an emotional acoustic duet featuring piano and voices. On the cover of the CD a painting entitled “Arca Musicale” by the Italian artist Guido Boletti represents the singer as a symbol of musical integration of various cultures.